BIS graduates fill a growing need for information systems staff and managers who are well prepared to meet the technical and managerial demands of the information technology (IT) industry. Program graduates (U.S. and international students) are actively recruited by corporations worldwide. IT is one of the 14 targeted high-growth, high-demand industries identified by the U.S. Department of Labor. Strategic initiatives are being undertaken throughout the U.S. to prepare the workforce to fill these economically vital IT jobs. Demand for systems analysts is projected to increase 22 percent from 2010 to 2020; since the work of systems analysts directly involves business systems, a degree in management information systems, including business courses, is desired. 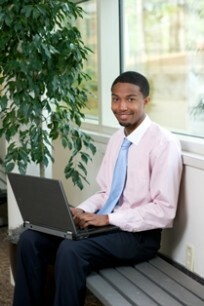 In addition, employment of IT managers is expected to increase 18 percent from 2010-2020. UALR’s College of Business BIS program combines IT and business courses to give graduates an advantage for success in this dynamic career field.